She is refreshing, she is intelligent, she is prudent and wise, she is capable and highly skillful in public affairs of local and international dimensions, she is a leader whose paramount interests are those of the people she leads, she is caring and fair, she is hard working, and she is the answer to Croatia’s future! Kolinda Grabar-Kitarovic is all that and more – just watch this space and see Croatia turn a new leaf into a better future when she is elected as president of Croatia at the end of this year. The past few years have seen reigns of destructive incompetence on all fronts of government (Social Democrats led by Zoran Milanovic) and presidential (Ivo Josipovic) roles, catastrophic political and social divisions, an unsettling and distressing decline in living standards of multitudes as poverty and unemployment spread like an epidemic whose outcome can only be the country’s bankruptcy – unless a new president takes the rudder! At this stage there are two candidates in the race for the Office of the President of Croatia – the incumbent Ivo Josipovic and Kolinda Grabar-Kitarovic. There may be others in weeks to come, however they’d do a great service to Croatia if they held back this time around and allow programs for Croatia’s future rather than personalities decide. Generally, a candidate is either a leader or a ponderous professor, a man/woman of the people or an elitist, the real deal or a phony. Croatia has had an elitist, a ponderous professor and a phony in the Office of the President this past mandate. Nothing of substance that would help Croatia move forward with democracy, corruption fighting, economic recovery … that Josipovic had promised during his 2010 campaign has been delivered. That makes him a phony in my books. Of course he may also have acted and is acting in the interests of the League of Communists that did not want an independent Croatia in the first place – which, of course, is the opinion prevailing among much of the Croatian disillusioned and significantly embittered public. Having just wrapped up her very successful mandate as NATO Assistant Secretary General for Public Diplomacy, Grabar-Kitarovic has kicked off into the presidential elections campaign mode with an appearance in the popular and sought after TV talkback show Bujica on Monday 15th September, only to travel the very next day to Medjugorje (Bosnia and Herzegovina) to greet the US Open champion Marin Cilic and congratulate him on his success as well as to express her gratitude to him for being such a strong and revered advocate for Croatian people and their good name in the world. From that TV interview Kolinda Grabar-Kitarovic we learn much of what we must look for in a president: we learn what she believes in; we learn that she can set priorities for the country and that she has candour to say it all out loud – and we know by her past working record that she has the skills necessary to follow through on her election promises and translate her position on issues into policy. The people will recognise this. Kolinda Grabar-Kitarovic: “…How would stable states who expect predictability from us look at us? How will investors who will say ‘OK, how are we to invest in Croatia when they change the Constitution every so often, let alone so many laws and regulations that are regulated or deregulated’ look at us?… At this moment when the country is in a catastrophic situation, when the state regretfully finds itself at the brink of bankruptcy, to speak of Constitutional changes (As Josipovic is) is out of place. The Constitution is not to blame for the state Croatia is finding itself in, the incompetent government is to blame for this state and in this, the President, Mr Ivo Josipovic, is complicit, he shares the blame because he relentlessly keeps quiet all these years, does not call the government to account, does not question what the government does nor does he request it to give accounts to him. In that sense he does not use his Constitutional powers and his public views regarding the Croatian economy, in general, in reality do not match the reality. And there is the sin of us politicians from turning the attention to questions or discussions that are not essential for the people or the future of this country, we must concentrate on the welfare of people, how to open new jobs, today people in Croatia are interested in, firstly, do I have a job, if I have a job am I getting paid for it, and thirdly, is that wage adequate for my existence – feed the family, educate the children, to make it possible for my children to remain in Croatia. I want my children to return here but regretfully we see more and more educated young people leave Croatia and watch the Croatian intelligence contribute to the development of others. As the president, I’m planning to be a stateswoman, not a politician. Indeed, John, she is – no doubt about it. Kolinda and Sanader did very good as a team,you can’t wish any better. Well its all about Kolinda and yet you failed to mention that part,also when she was a little girl she couldn’t stand up and put her hand on left side while listening to the anthem,the text when everybody knows it has started 1990 when she was 22 years old,honest I would say not. Your ignorance and hatred is very annoying, Alija. For your information the Croatian Hymn did not start in 1990, it was written in 1830’s and music in 1840’s – as to the era of Kolinda’s youth you speak of – be reminded that this hymn of today “Lijepa Nasa”was official declared in a constitutional amendment as the official hymn of Socialist Republic of Croatia in 1972 and although much was oppressed under communist regarding Croatian songs etc people did defy that oppression and so did some radio stations. Indeed some radio stations played the hymn quite regularly before and after the Croatian Spring in 1971. Go and eat your heart out, Alija! The best choice for CROATIA, KOLINDA PN. This was the headline from Reuters a couple of days ago: Croatia slides toward EU/IMF aid as economy shrinks. If this shouldn’t prompt the country to take action, then I don’t know what will. The state is bloated with workers and needs a serious trimming. This austerity is going to be painful. Honestly, it will be very painful, yet Greece seems to be on the mend with Croatia remaining as the EU’s current basket case economy. I would like to comment on a subject, while appears unrelated, is actually very much relevant. During Communism, people were not allowed to inherit or truly own land, so the land records that were kept and legally defined go back to the Austro-Hungarian era. Now, you had people who decided to “shake hands” and redraw land boundaries. For example, my part of this piece of land used to go that boulder, but my grandfather and your grandfather decided that it will now go to that olive tree. Fast-forward to 2014, families and land inheritances are mired in lawsuits and court hearings. According to a rumor, a liquefied natural gas (LNG) terminal is supposed to be built on the island of KRK, but there is no clear answer as to who clearly owns the land therefore holding up the project. The problem is that there is land up and down the Adriatic coast that could be attractive for potential investors, yet the ownership issue is a problem that is holding everyone back and quite possibly holding up progress for years. I am in complete support for due process and having one’s case heard in a court of law, but most of these cases are abused to the hilt by the relevant parties. The sad part is there seems to be no stop to it. Thanks Racunovodstvo, perhaps the land you’re referring t is the land given to people during the Austro-Hungarian rule over Croatia to develop agriculture and work the land and so much of forested and wild terrains were developed into vineyards, olive groves etc etc and the people had the right to possess that land and they did but never worried about sorting out the land titles etc and then comes today (or a couple of years back) the government in many cases on the quiet writes itself as owner of much of the land without the knowledge of people whose land it is by right of possession and title … once discovered people took and take the gov to court – sadly many have no funds to do that. Just a shocker – as shocking as communist Yugoslavia nationalisation of property that belonged to Jews, and giving it to their mates for use etc As to the court process – abuse goes on and it’s time some serious punitive measures were put on including within the court process – hjow a case like that or a case of probate can last ten or twenty years is just shocking abuse! I wasn’t aware of the land history. I guess it makes sense how relatively poor people could come to own such a large swath of land, relative to their means. There is serious abuse, and one party will, unfortunately, get the shorter end of the stick. On the other hand, I lean more toward what was actually written down, not hearsay from parties will ill intentions. Of course, Racunovodstvo, people did own some land before the reforms in agriculture during Austro-Hungarian empire and not all received land in that process either. This is going to be a most interesting race: is Croatia ready to be led by a capable woman? So far it’s been the game for the boys and of late the boys and some women from the League of Communists, who are currently busy slinging mud at Kolinda Grabar Kitarovic, personal attacks! To me that means THEY KNOW SHE HAS GREAT VALUE! I know it! Yes, Wilkinson – when you come across personal attacks in these situations you KNOW that the attacker is aware of the great qualities of his/her opponent for the role but in order for him to succeed he cannot allow those good qualities to shine, so, if you can’t find a fault with their (her) past work etc, you go on the personal attack. Just something perfected during communist Yugoslavia and still used evidently by the League of Communists or those previously associated with it. Ah globalmailman, when people are desperate – unemployed, poor, confused… they will lash out but this example you put forth is very sad because the governments and presidents since Tudjman have worked systematically at widening the divide and creating some sort of notion that if a Croat living abroad returns to Croatia he/she is coming to take something away from those who live there that he/she has no right to! They forget that Croats living abroad have contributed personally to Croatia in most cases a great deal…etc…the governments and presidents have worked hard at creating and maintaining divisions in society – this needs to stop! I wonder exactly why they do that because it’s dumb. I have to say that my homeland, America, is owed some gratitude from Croatia. It’s an American, George RR Martin, who wrote Game of Thrones. 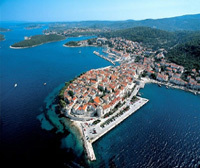 It’s an American studio, HBO, who produces the hit show and is building a studio near Dubrovnik. It’s an American heiress from the Hearst family publishing fortune who had quite a wedding celebration back in Dubrovnik in late spring. This all brought a lot of, much deserved I might add, attention to Croatia. Ask a random person in the US where Croatia is. They get a puzzled look. Ask if they watch Game of Thrones and they say yes, then subsequently say that is where the show is filmed there, their eyes light up. Usually, they will exclaim, “Oh, wow, I so want to go there!”. Ina, you have said it: Generally, a candidate is either a leader or a ponderous professor, a man/woman of the people or an elitist, the real deal or a phony. Bravo. Josipovic and Stjepan Mesic before him, are/were elitist and phonies – in there for personal glory and fame and interest. Watch this space, “destructive incompetence” will continue, regardless if Grabar-Kitarovic comes on board to “save the day in Croatia”. Also as per the Constitution, the president has limited to almost no authority regarding the economy, laws etc, so I look forward to seeing what exactly the next president will do “to take Croatia into a better future”. Regretfully, “destructive incompetence” is in Croatia’s nature, as repeatedly demonstrated not only by HDZ/SDP but, the people in general (trust me I see it every day) because everyone is a “local sheriff” who gets away with everything. Croatia can only turn a new leaf when all these promises of “when we come into government” are put into action and hopefully it doesn’t take another 20 years . It will take a great deal of strength to survive the dirty and unfair attacks she’s about to face from the communist mob! Hahahahaha – I’m still laughing even though it’s been weeks since Josipovic announced that he wants a second mandate to finish off what he had promised, that there was not enough time! For Christ sake – he had done nothing and now he is asking for another chance! Why would anyone go there! And to top it all he wants to change the Constitution if he gets new mandate as president. This is dangerous grounds for if people elect him with the knowledge of him saying he’d change the Constitution then is he getting a license to put in it what he likes? The man is a disgrace! Yes, Josipovic’s blind greed for power does make one laugh is despair for a possibility that he just may get in again. we hope that Ms. Kitarovic is elected in the next election! It may be the last hope, if the Croats don’t want to see the Serbian flag flying on top of Sv.Stjepan Cathedral in Zagreb! It is exciting for me, as a new Croatian citizen, to be able to cast my first vote for Kolinda. She is the only person who can work towards bringing the people back together again. Let the good old boys retire, it is our time now! The bad news is that Croatia is a failed state. The good news is that salvation could be around the corner. There is absolutely no chance that Josipovic and Milanovic will be re-elected. Despite the best efforts of Croatia’s looney left I am sure that both Kitarovic and Karamarko will win in a landslide. For the electorate to come to any other conclusion would be both irrational and suicidal. The experiment of handing the reins of power to the sons and daughters of communists has ended in complete disaster. Then we always knew that it would happen because talk is cheap and in a globalised, highly competitive world words mean nothing. Only concrete action attracts the attention of both local and global entrepreneurs. Josipovic and Milanovic just blow hot air. Especially Josipovic and all his pompous nonsense about “justice”. Unfortunately for these two traitors time has run out and they will be hearing from all of us soon. Kolinda, please, knock that boring, mumbling travesty of president in the first round!!! Our budget is too poor for the second round, so hit him right on his glassy chin named sasha perkovic with your very first punch! Good luck! Good save croatia from udba! Cheers, Zrinka SV – happy days ahead if Grabar-Kitarovic wins. I wish for her to be true so that in the second round she runs against Milan Kujundzic. And then after the elections she wins she takes the latter as her chief advisor and create a block of honest people in the office of the president and the parliament so that finally walk as a Nation that knows its path. So, everyone to their feet now because the Yugoslav communists/SDP Kukuriku are already ready and are working in full steam and we have not reached a consensus yet. If we are to be true Radic/Starcevic followers we cannot wait any longer. Tito’s followers work at their betrayal of Croatianness and any coalition with them is cruel betrayal. Ovjde sve pise ako znate hrvatski o kakvoj je …DELETED … rijec.Vidim da brisete komentare koji vam ne pasu , so Hdzeish. Translation of comment by Mario: Here (at the link below) everything is written in Croatian about what kind of … we’re dealing with. I see that you delete comments that you do not agree with, that’s so HDZ. REPLY: Mario, if you read the rules of comments at the bottom of this website you will see that personal attacks without facts are not permitted here and will be moderated/deleted. That is the decency we offer to everyone, elected politicians who hold office for the public of course are treated differently but Kolinda Grabar-Kitarovic is not yet that – she will be, I hope – as to your link it is pure rubbisgh and lie – it tries to tell the world that the Croatian Hymn about which she said she listened to as a young girl did not exist when she was a young girl because the hymn started in 1990. Now that is a lie and you know it, if you do not know it that is sad. The “Lijepa Nasa” is a very old piece but in 1972 through constitutional amendments in Yugoslavia, after the Croatian Spring when Croatia sought more autonomy within Yugoslavia, that Croatian Hymn was made the official hymn of Socialist Republic of Croatia and it was played on some radio stations, tv, and people sang it, true many suffered because of that from Yugoslav communists, but the hymn was played. So please do not come here all high and mighty when in fact you are mean spirited and try to spread lies. This blog is about the truth and not everyone likes the truth. Well you wouldn’t know since you don’t live here,they played instrumental pre 1990 so Kolinda lied. But you silly, silly person, Alija – I did live there throughout the seventies, and before and after… sorry to disappoint you but I sang it, many sung it, I heard it sung many times – the only liars are those like you who think they know everyone and everything and yet they do not – they only know how to bully – you ain’t gonna win here, Alija, so give it up! Now this lady has in my opinion the Right attitude to carry Croatia forward in Unity.. I loved this paragraph.. I wish there were more politicians like her around..
SHE SEEMS TO HAVE MADE AN EXCELLENT START! Thank you so much, Jalal – cheers! The neo-yugoslavs need to be ousted from office (and all state/social institutions) but I don’t believe Kolinda to be the savior you are portraying her as, just a lesser of two evils. In her most recent media appearance in ‘Nedjeljom u dva’ she avoided answering her stance on Dario Kordic, the U ime obitelj referendum, cyrillic alphabet in Vukovar (“I cannot answer. The world is not black and white”), abortion (“Thats a tough question”), legalization of marihuana (“Im not sure”) and did not offer a concrete answer on whether Marshal Tito square should be renamed. I would like to see a Presidential candidate with concrete views and answers instead of tap dancing around questions/issues. Beautiful woman, but dense and without a stance. Funny how they try to sell her off as a conservative candidate. Have another look at her interview on Nedjeljom u 2, Rex Croatorum – I have seen it a couple of times and am preparing a post on it – you like others I have come across including some bent media outlets actually have not heard her answers – to my view her answers to all the questions were clear and proper. Right,it must be because you live down under,I hope you will give us her answers in your next blog. Where people live does not matter, Alija, anyone can go online and hear the answers etc but yes, of course, I have taken them down into a transcript and am translating them into English because I do think it’s important to given that many media commentaries are/were pathetic or as per orders by those that control such media outlets. Kolinda was selling hot air. And no, she did not have an opinion on many if not all the questions, rather tip toed around the issues which politicians are so good at. A president must have an opinion and not everything can be super and great. People call yu-sipovic lignja because of his lack of energy and courage, what then can we say about Kolinda? She is increasingly looking like a HDZ version of yu-sipovic but with an additional fear of offending someone. The last thing I want to do is defend lignja but at least he gives straight answers. For example, he supports the legacy of JB Tito and supports Cyrillic alphabet in Vukovar. When Kolinda is asked should Titos square be renamed its either a yes or no, not a calculated question. Is Tito a criminal dictator, yes or no … instead she answers a little bit yes, a little bit no. Funny when her party leader Karamarko is waging a reckoning with Croatia’s communist inheritance (dont think much will come of it and more a electoral trick to get the conservative voters on his side), such questions would provide easy answers. At least lignja will give you a straight answer. Kolinda’s latest appearance was one of a typical two faced Croatian politician trying to appeal to everyone, in the end she doesnt appeal to anyone. It is so sad Rex Croatorum that you like many did not recognise the answers Kolinda gave at the interview – but then again, how can someone – people at large in Croatia even media – recognise democracy when they’ve never really lived it to the full. GO BACK A LISTEN TO THE INTERVIEW CAREFULLY! …DELETED as offensive… A president of everyone is a president of no one. What does Kolinda not answering the questions have to do with democracy? And don’t teach me about democracy. I was born and raised in the free democratic west. What would of been nice is for example, when asked about Marshal Tito square in Zagreb is if she said a square named after a totalitarian dictator is undemocratic, against civilization, against Hrvatstvo and should disappear from modern day Croatia, but she didnt say anything to that end now did she. Very dissapointing. Rex Croatorum, it’s obvious to me that you have not heard her answers in full, only democratically minded people would have, the last part of her answer to the Tito Square in Zagreb was: “…I personally would not name the Squares after him, but I respect that there are people who respect him…” Now, as far as I can seen her answer is clear, her position on it is clear and it’s also clear that she is an inclusive person, she alone cannot change things for if she tried you and everyone would call her different names such as a dictator etc. There is a huge difference between a personal opinion and that opinion that wins out in a democracy, which I think you cannot accept, so that is your loss…in any free democratic society – except perhaps the one you were raised in if all think as you do – everyone’s opinions are respected and the most prevalent ones win. She would leave way too many issues to the local community including cirilica in Vukovar. Well Alija, I think the High court in its recent judgment did leave the matter of bilingual signs to the local Vukovar authorities/communities – there’s nothing better than to respect the wishes of the people whose lives arte actually affected by any rules, moves etc – nothing wrong with that, indeed, it’s desirable if you ask most. If the most prevalent opinions in Croatia win, then God help us all. Many people there are still crying for the times of bandit tito. I wonder if Kolinda won’t adherently distance herself from Tito because Tudjman never did either, a return back to hdz’s roots? And inclusivity got us to where we are today. Pomirenje did not work, its clear as day the ex commis were not sincere in the reconciliation. They did it out of necessity to ride out the tides of change and retain their stranglehold on power. Kolinda’s empty responses on N U 2 were of no substance and purely tactical… to gain votes, so as not to piss any side of. That is not admirable and not the qualities I look for in a leader. You talk about acting like a dictator yet conversing with you seems futile anyway as you just delete what refutes or is contrary to your opinon. What is the difference between those who steal (sdp) and those who steal while waving a Croatian flag (hdz)? Until there is a viable conservative third option we are going no where but flip-flopping between the left and right faction of the once KPH. The country is a mess with the economy and this is what people want to deal with. One side uses this false left-right divide to distract the public from real issues and the other side sticks to their idiotic liberal agenda. The only things deleted here, Rex Croatorum are those that offend without a cause or corroboration. You write here and elsewhere hiding under an assumed name and expect others to take risk for the rubbish you write some time. If you do not want parts of your comments deleted then be fair and provide verifiable evidence about your assertions or start your own blog and go for it. Many women throughout history have proven themselves to be good leaders. Just like a racehorse, let’s give her her head and now see what she can do. Mrs Vukic, “Know what is in front of your face and what is hidden will be revealed to you.” Kitarovic is just another puppet to manipulate and deceive Croatian folks. 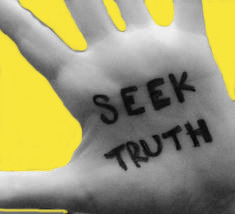 “The eyes are useless when the mind is blind.” Sooner or later truth will show up. You are not even aware what you are promoting. Oh, Johann, I just as you and all normal adults promote that which we know is good for us, different people have different opinions and that is the reality some accept some do not.